As this is the first Scenario Pack for the game, it's sort of setting a benchmark that other packs will be following. So, what can you expect to get? Well, there's a new scenario to play (seems fitting, being a "Scenario" Pack). 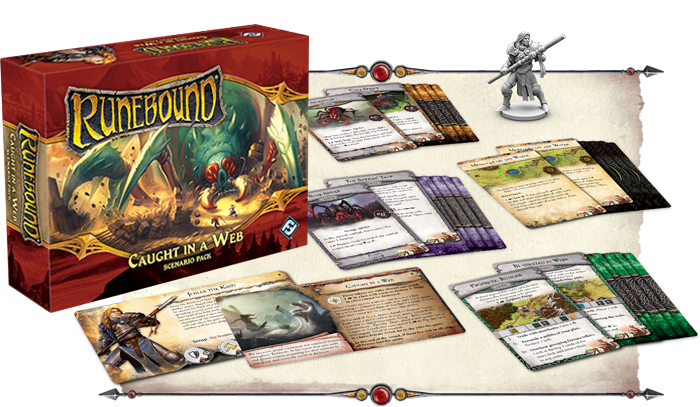 That comes with 40 new Adventure and Story cards. Plus, there's a new hero (Jonas the Kind, to be specific). You can use Jonas in any game of Runebound you play. 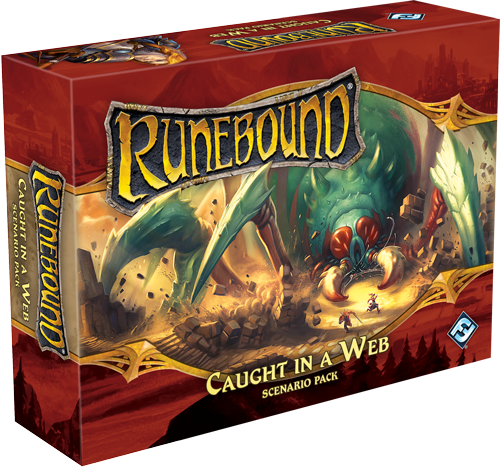 So even if you're not specifically playing Caught in the Web, you've got something to enhance your other game nights.